Experience the thrill of seeing orca whales, harbor seals, California & Steller sea lions, Dall's & harbor porpoise, gray & minke whales, bald eagles, cormorants, great blue herons and so much more on one of our whale watching trips. of our whale watch tours! 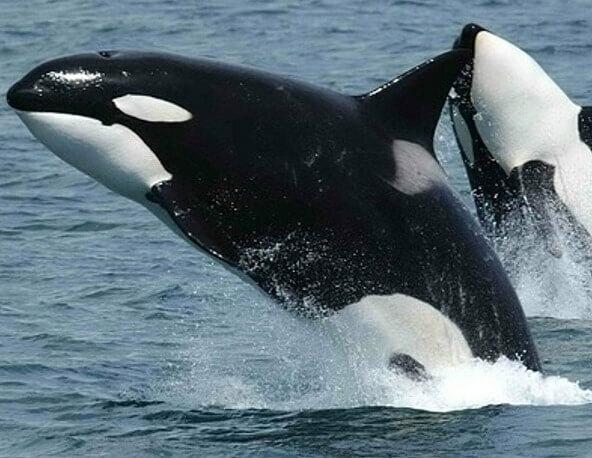 Sightings include resident orcas, transient orcas, minke whales and humpback whales. If you don't see orca whales, then your next trip with us is free of charge! Our classic 65 foot, twin-engine vessel, has the perfect combination of comfort and space. 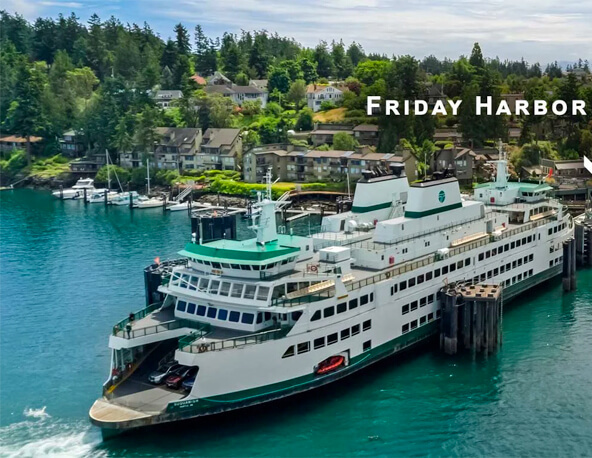 in safety and environmentally oriented owner operated whale watching tours and wildlife cruises departing from picturesque Friday Harbor, Washington (only 90 miles north of Seattle on sunny San Juan Island). are a hidden gem nestled between the snowcapped Cascade and Olympic Mountains. 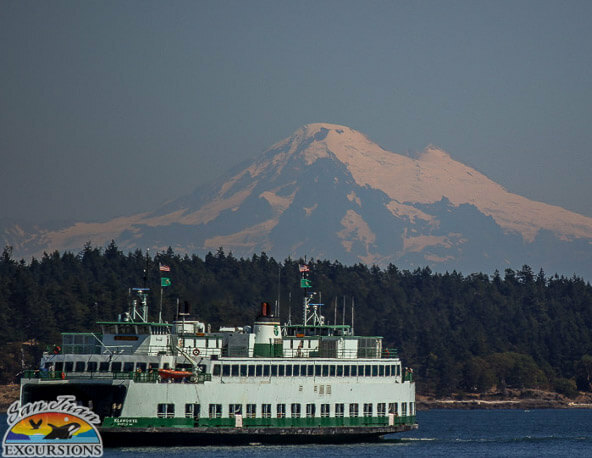 With dramatic rocky coastlines, pebble stoned beaches, and tranquil evergreen islands dotting the horizon, your San Juan Islands whale watching tour and wildlife cruise with San Juan Excursions will surely be the highlight of your vacation. Welcome to our FAQ page! Find the most frequently asked question about the whales, our cruises, wildlife and the islands. We hope that you find this information useful. Whale watching Seattle and whale watching Washington are commonly associated with whale watching in the San Juan Islands. 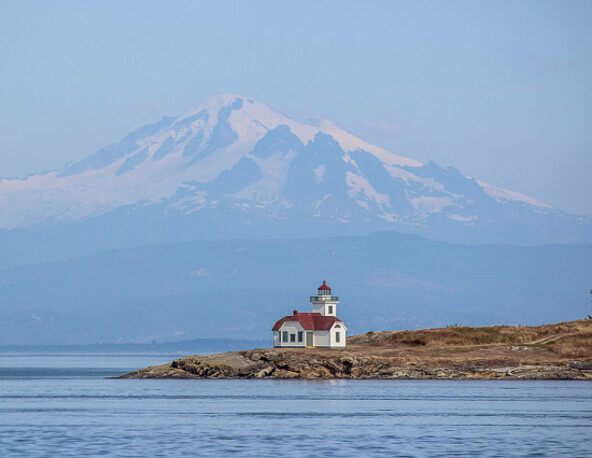 San Juan Island is the center of whale watching in the Pacific Northwest and therefore Friday Harbor on San Juan Island is the best location for departing on a whale watch tour in Washington State. We hope to see you soon! by King 5 TV's Evening Magazine! 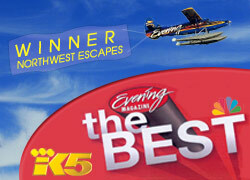 San Juan Excursions was voted Whale Watching WINNER in Evening Magazine's prestigious Northwest Escapes competition. Thanks to everyone who voted to make us the number one whale watching company! 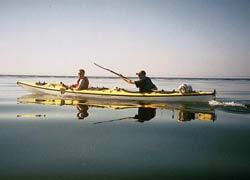 We also offer 3 hour, full day, and multi-day sea kayaking tours departing from the west-side of San Juan Island. Paddling along the calm coast lines of the San Juan Islands makes for a fun adventure for singles, couples, groups, and families. 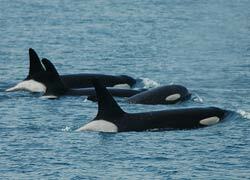 (the best area in the San Juan Islands to see the orca whales).